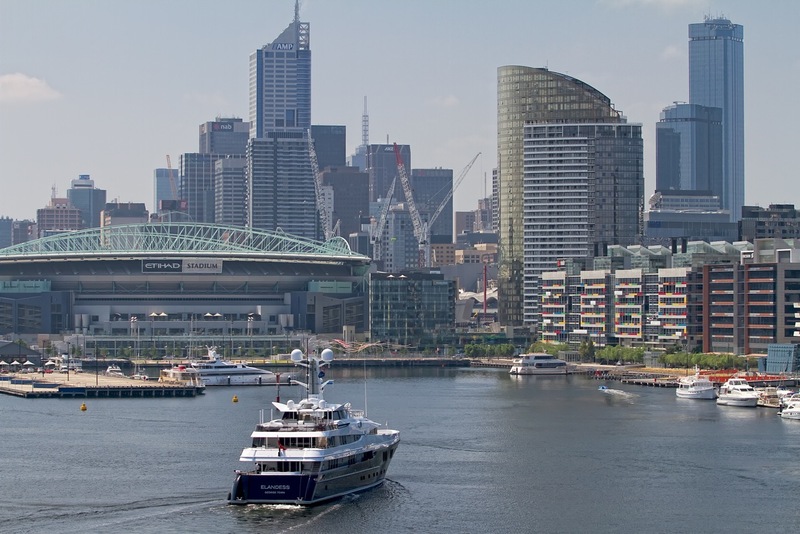 Australia and New Zealand discuss a concerted approach to the way the superyacht industry charters, cruises and works within their region. Antipodean industry bodies have agreed to a complementary approach to marketing Australia and New Zealand as a destination for cruising yachts. Delegates from the New Zealand Marine Industry Association (NZ Marine), Superyacht Australia, Tourism New Zealand, Tourism Australia, New Zealand Trade and Enterprise, Austrade and the Australian International Marine Export Group (AIMEX), met recently to create a mandate aimed at increasing the number of superyachts visiting the Pacific, Australia and New Zealand. The move comes in response to growing awareness of the number of yachts looking beyond the milk run in their hunt for the charter edge and successful owner trips, as well as to meet managerial demands for cost-effective, high-quality refits and services. Taking a collaborative approach allows the two nations to market as one hugely-attractive destination, offering an impressive range to superyachts, including tourism experiences and refit capabilities and services, plus iconic events. The first of the mandates agreed on by the group was to increase international yachting fraternity awareness of cruising within the Pacific. The meeting identified a number of industry events where joint promotions could prove the best way forward. With her understanding of the way superyachts cruise, Maryanne Edwards, CEO of AIMEX and Superyacht Australia, pointed out that presenting a united front to promote the destinations will highlight the strength of regional cruising grounds and services. “It is a positive step forward for Australia and New Zealand to work together to promote the South Pacific. Between us we have everything that a superyacht owner could possibly desire in terms of iconic tourism attractions, security and privacy, plus the reputation, quality and skills of our repair and refit sector is world-renown. Working together is certainly going to create a greater awareness of our region, especially with the globally-recognised events being hosted here in the next few years” says Edwards. Another mandate agreed on by the meeting was to share statistics regarding visiting superyachts, including where they have come from and where they are going. In sharing statistics between the industry bodies, both countries’ representatives are able to offer tangible reasons to their respective governments for superyacht-friendly legislation and encouragement of cruising. New Zealand, Australia and countries in the South Pacific are being viewed by many cruising yachts as the ‘new Mediterranean’ of the southern hemisphere. We look forward to introducing many more superyacht owners, their guests and crew to this relatively-undiscovered paradise,” says Peter Busfield, NZ Marine CEO. The promotion of visitation and discussion of superyacht-friendly practices which encourage this is also on the group’s radar. The key focus of the joint initiative is to attract yachts to the South Pacific region, with an increase of both cruising duration and breadth, and increased superyacht refit and repair services undertaken, for the greater economic benefit of both nations. The meeting took place at Sanctuary Cove, as part of the Australian Marine Export and Superyacht Conference (ASMEX) where superyacht industry players from across the region, gather. For further information, cruising advice and service directories, please see. Tourism New Zealand, New Zealand Trade and Enterprise and NZ Marine attended the meeting as part of their role in the Destination New Zealand Superyacht Attraction Initiative group which was formed in March 2014.